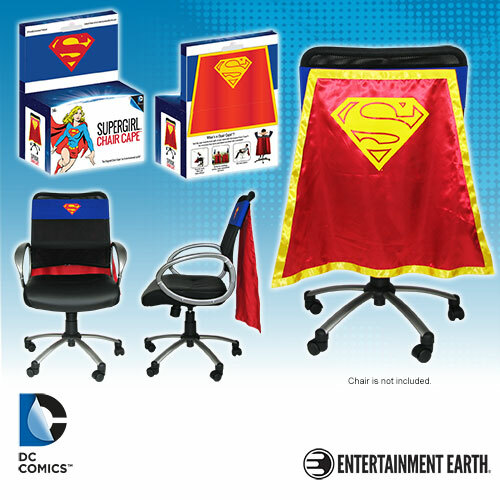 Are you tired of asking yourself, “What am I going to be for Halloween?” Is the pressure of finding a costume and dressing up too much? Does your workplace have too many restrictions? Looking for a cool and easy solution? Well, look no farther! 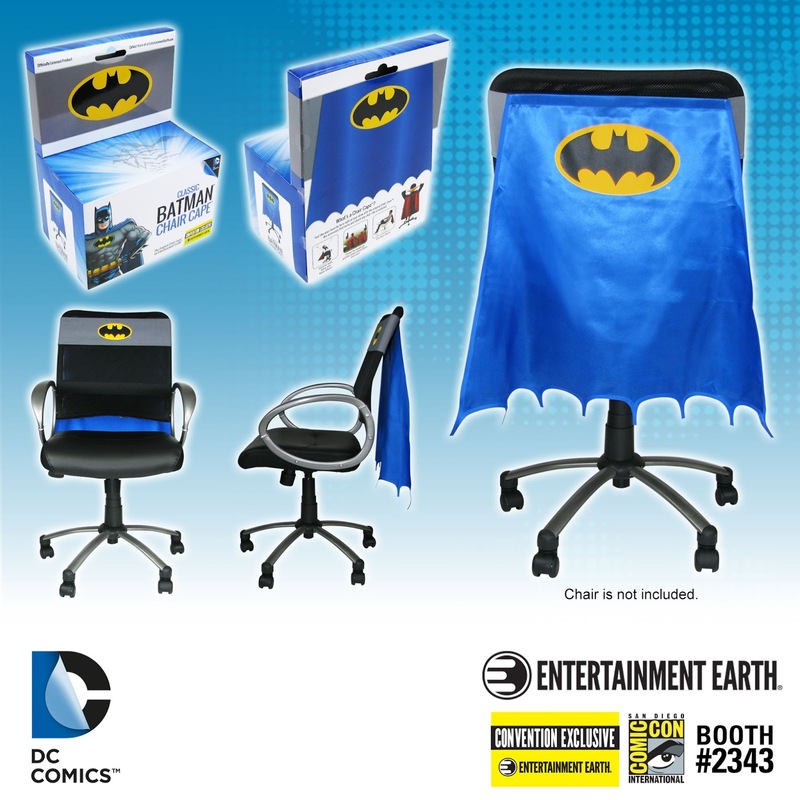 The answer for you is here with the new patent-pending Entertainment Earth Chair Capes™. Complement your existing costume or simply offer a bit of Halloween spirit at work with these colorful character capes for your office chair! 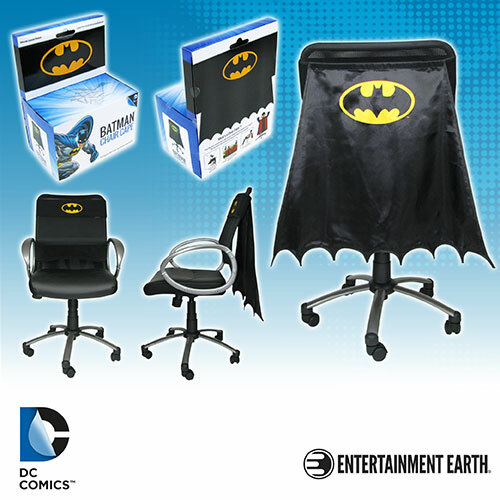 Also, great for decorating chairs at Halloween parties! 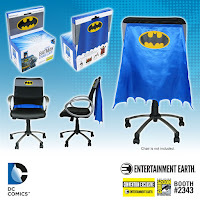 Made of high-quality fabric materials, Entertainment Earth Chair Capes™ measure about 24-inches long and come with a sturdy (yet highly adjustable) hook-and-loop belt that fits most chairs. 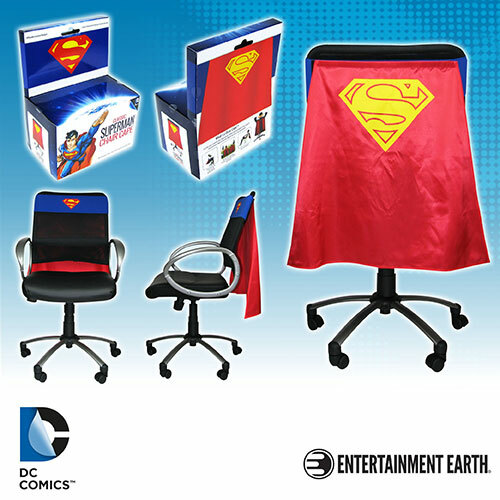 And the best part, there are over 6 different DC Comics™ Chair Capes™ that are in stock today, so you can pick the one that perfectly suits your alter ego for this Halloween. 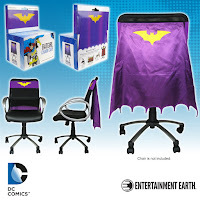 Embrace the keen intellect of the infamous BATMAN Family while working late on those office reports with BATMAN™ (available in Classic blue or black) and BATGIRL™ Chair Capes. Ready to take on any challenges that come your way, like a real Amazon Warrior? 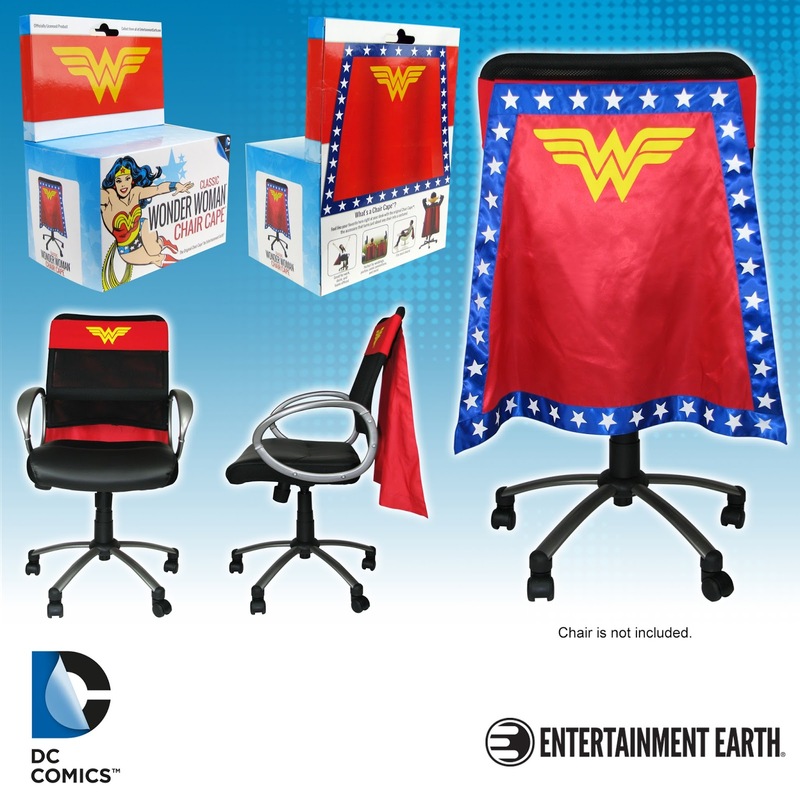 Well then, the WONDER WOMAN™ Chair Cape will give you the strength to knock down any hurdles in your way while executing that work project. 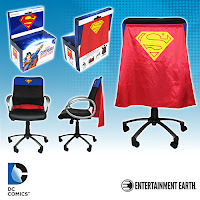 When you want to soar through the air (but you’re stuck at your desk), the SUPERMAN™ Chair Cape will help you get into the spirit that will take your emails to new heights! 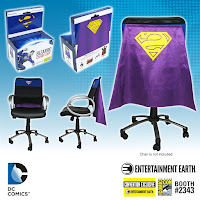 However, we understand you may find yourself being drawn to the BIZARRO™ Chair Cape…especially if long and tedious days in the office are changing you into a darker, more warped version of yourself. See! 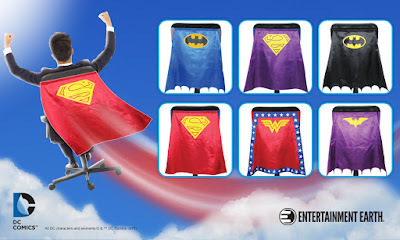 A cape for everyone! 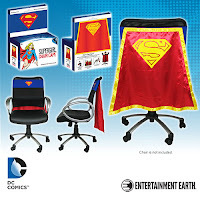 And we still have more characters available for pre-order, including our latest SUPERGIRL™ Chair Cape. So what are you waiting for? Embrace your inner DC Comics™ Super Hero, and be the talk of the office or party this Halloween.